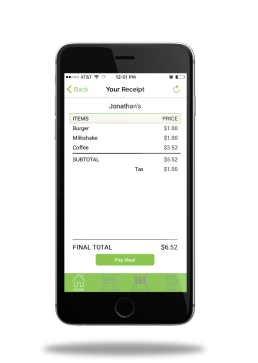 Our software offers restaurant goers the means to buy, send to a friend, and redeem mobile gift cards from their Smartphones with ease. 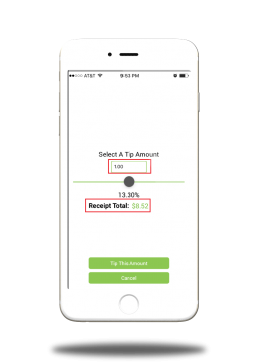 Thanks to a proprietary POS integration, the mechanics behind our mobile software enables gift cards and reward point balances to be obtained straight from the restaurant’s app in a seamless, “auto-pilot” -like fashion with minimal to no effort. Not only are users able to send a mobile gift card to a friend in real-time, but it encourages friends and family members to pay for a round of drinks belonging to another friend’s guest check from a remote location; with the option to inscribe a personal greeting at the bottom of their check. 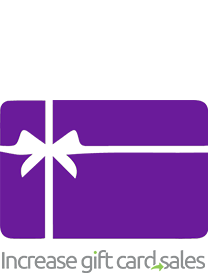 Gift.it is designed to help merchants tackle three of the most challenging obstacles in the restaurant business: Attracting new clients, retaining loyal patrons, and ultimately increasing revenue flow year after year. Its POS-integrated platform allows users to manage their gift cards and earn rewards right from their mobile devices as well as share them with other users creating increased engagement with the merchant’s brand. 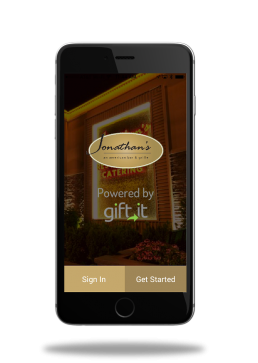 Gift.it features a host of loyalty-producing solutions that allow operators to reach thousands of local restaurant-goers with incentives designed and proven to trigger significantly higher engagement, while at the same time attracting new clients and enhancing customer loyalty. 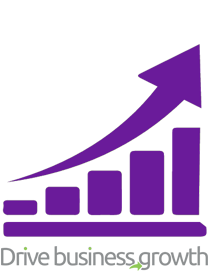 This innovative platform also allows merchants to assign time-sensitive promotions to a desired market, creating a solution to turn over perishable inventory quickly and effectively. 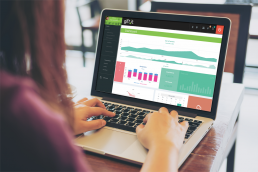 An admin portal offers merchants a secure dashboard from which they can customize and manage their own white label app, making it functional in ways that helps scale their business. 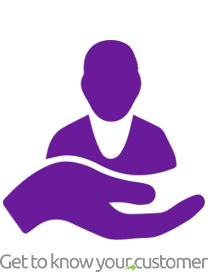 The portal allows authorized personnel to update and change a variety of options within the platform, as well as access the data that is crucial to better serve their clientele. Four levels of security access roles allows a restaurant’s management team to configure and issue gift cards, manage and track consumer rewards activity, create and launch notifications containing time-sensitive (“targeted”) promotions, update menus and daily specials, and view customer spending behaviors based on their F&B consumption. Operators can push instant alert notifications, informing their active network of incentives in an effort to up-sell gift card activations, providing a significant new revenue stream. They can also assign time-sensitive promotions just hours before the dinner rush to a desired demographic audience, creating a solution to turn over perishable inventory quickly and effectively. Promotion discounts automatically appear on a guest check and are deducted with no manual entry requirement of a reward code or voids (or the need to collect and validate vouchers from customers). Plastic gift cards, which cannot be sent by text or email between giver and recipient, are slowly losing its once highly-revered recognition to today’s fast-paced, competitive restaurant space of the Digital Age. Not only are plastic cards easily lost and annoying and slow for the merchant to manually manage, but additionally have an average of 22% less dollar value loaded, as compared to a “digital card”. 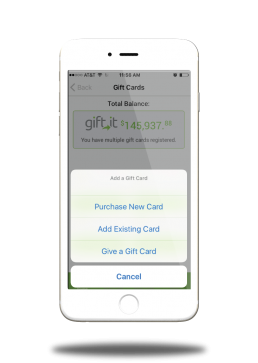 On average, traditional plastic gift cards are purchased with a loaded balance of 22% less than digital cards. Couple that with the added expenses of gift card production and equipment, and your restaurant could be spending a lot more and making a lot less that it could! 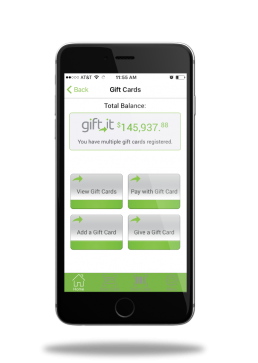 A midsize restaurant that does roughly 2,500 gift cards a year can expect an average annual savings of $17,000 simply by replacing a plastic gift card with Gift.it digital cards! With Gift.it, each time a customer visits your establishment, valuable information such as entrée and beverage type, date and time of visit, number of guests at the table, spending and method of payment are captured. 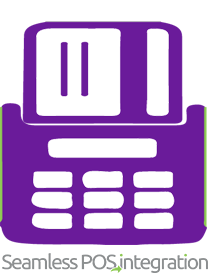 The data is instantly converted into useful information to help you improve your bottom line. Customer feedback is also collected using our powerful survey tool, alerting floor managers to service-related shortfalls and real-time dining room analytics. Gift.it is the only existing platform that can be linked to a POS (Point Of Sale) network without the use of a plastic card, enabling the activation, redemption and storage of gift card balances from an iPhone and Android-enabled device during any point of a customer’s dining experience. Gift.it’s POS integration also allows customers to view their check in real time, make payments from their mobile device, and take surveys about their dining experience.